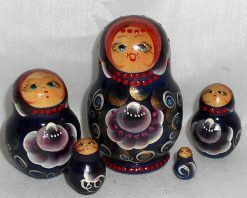 Traditional small set from the town of Zagorsk. As all of our babushka matryoshka Russian nesting dolls, this one is handcrafted in the heart Russia. 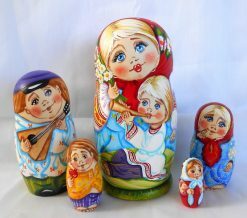 It is hand turned from linden wood and then hand painted by a professional nesting doll artist. 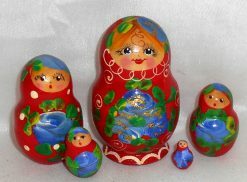 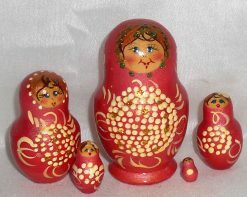 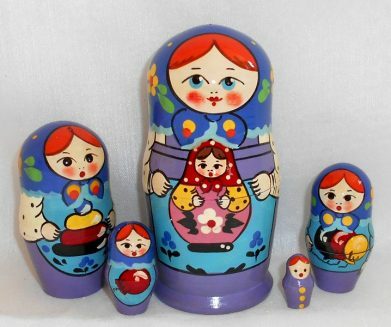 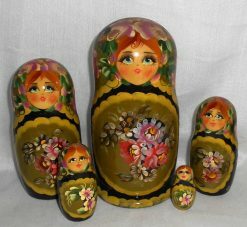 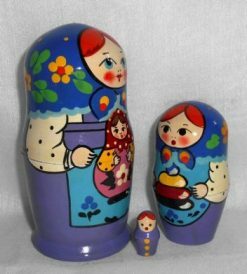 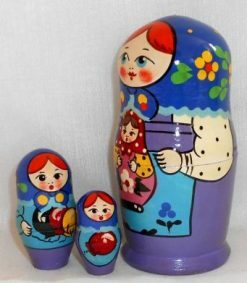 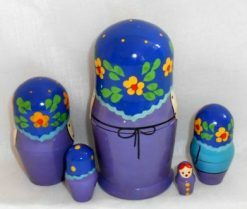 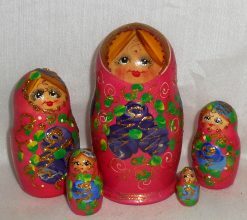 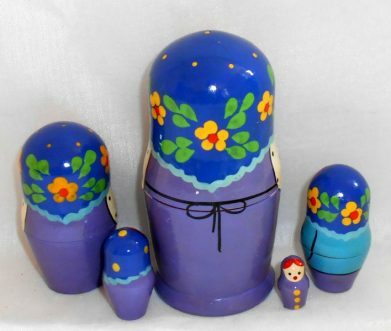 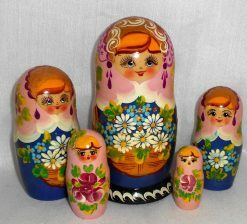 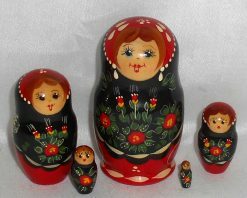 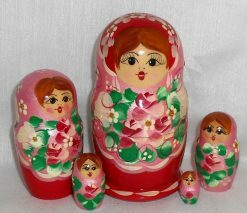 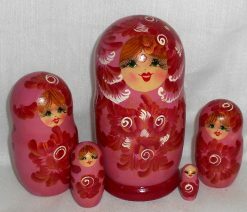 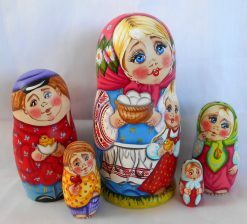 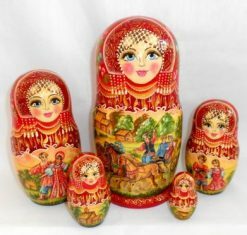 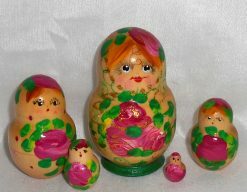 It is a typical nesting doll, and each smaller piece of the set fits into the next larger one. 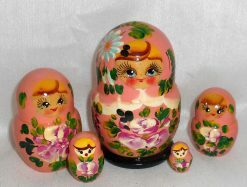 Each doll is coated with 3-5 layers of crystal clear lacquer. 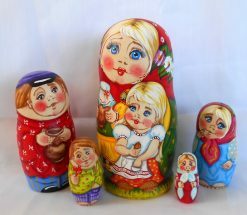 As with all our dolls this one has been signed by the artist.